This list is an attempt to highlight some of the best blogs about bicycle touring that can be found on the web. The ranking was compiled tracking hundreds of bike touring blogs. The top sites that made this list are ranked according to Alexa (33.3%), Domain Authority (33.3%), Page Authority (33.3%) indicators. The list doesn't involve our personal opinion in any way. Be bike touring specific. Only real cycling blogs are accepted. 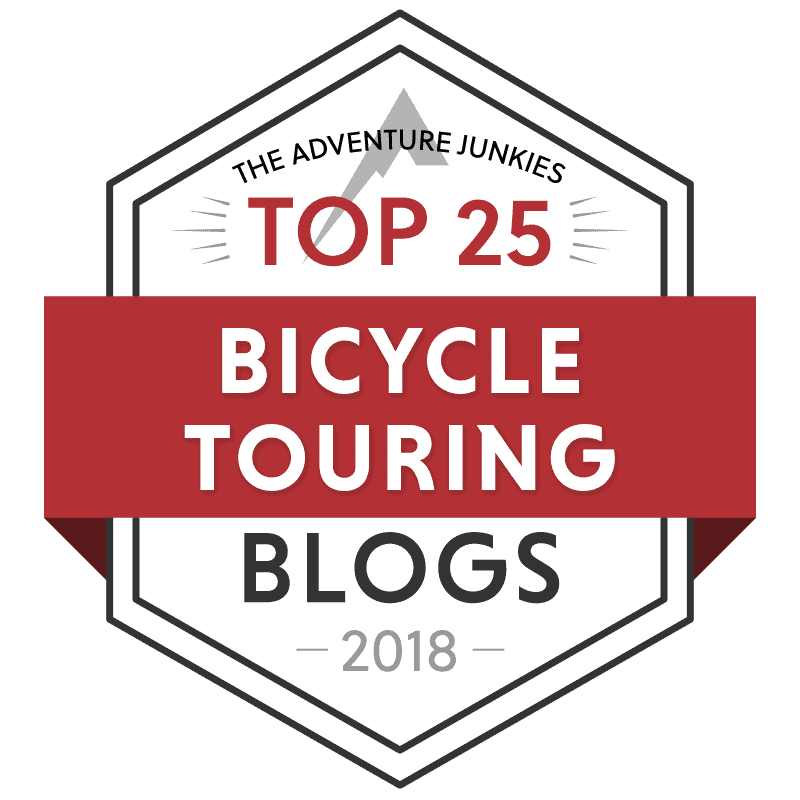 Please send us a message to toplists@theadventurejunkies.com with the subject "Top 25 Bicycle Touring Blogs" to be considered for the next update.